Your dog wants you to go out and vote for his or her best interests, especially if you happen to live in Missouri, which has a ballot measure on Election Day: Proposition B. Voting yes to Prop. B would establish state minimum living standards for dogs used in the wholesale farming of pet store puppies, a.k.a. puppy mills. There are about 9,000 independent pet stores in the country and about 30% of them sell puppies. Retail puppies as a commodity have a better R.O.I. (return on investment) per square foot than a furniture store: faster turnover, less space, no returns and the only question asked is cash or charge? Proposed minimums include: allowing more free movement both inside a cage and outdoor time, currently the MO state and federal minimum is 6" clearance above the head and breeding females can spend their entire lives within the confines of a small cage. Limiting the overcrowding of animals a site can house and puppies produced as well as required regular vet visits. Breeding breaks to prohibit female dogs from continually producing litter after litter until they are spent and other quality of life issues. Fifteen other states have passed laws cracking down on puppy mills over the past three years. And in those states, there has been no evidence of a "lateral move" to include limits on any domestic animals other than dogs raised as pets: a frequent concern of the anti-Prop B crowd. Why should you care what happens at the Missouri puppy mills, you ask? With 1 in every 4 dogs purchased at U.S. pet stores coming from the estimated 3,000 Missouri dog factories out of 10,000 nationwide, every state that sells dogs in retail pet shops has suffered the negative effects: sick and dead puppies, expensive vet bills that can reach thousands of dollars, the emotional heartache of losing a young dog to illness, shelters that are overburdened by unwanted and abandoned dogs and cats, an estimated 2 million pets a year are euthanized due to overpopulation. Dogs are the primary beneficiaries of Prop B; thousands of them will finally have solid ground beneath their feet, adequate food and water, regular veterinary care, and room to stretch their legs." Good breeders will benefit from Prop B because it will discourage some of the disreputable breeders who regularly undercutting their prices with cheap, mass-produced puppy mill puppies that are often sick. Who would oppose a ballot measure that protects animals? The puppy mill industry (mass commercial breeders and brokers, and industry political groups such as Missouri Federation of Animal Owners (MoFed) and the so-called Alliance for Truth) claiming government control is behind fighting Prop B because they profit from producing factory-farmed puppies bred in overcrowded, minimal, barely survivable conditions. The Farm Bureau is also attempting to mislead voters by claiming that Prop B will affect other types of animal agriculture. Nothing could be further from the truth. 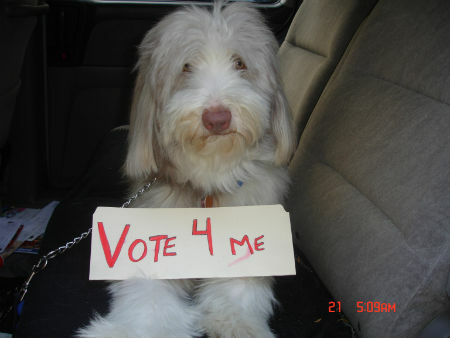 Prop B is about dogs and only dogs; the statute's language is very clear. HSUS's Summers continued: "Investigations by the Humane Society of the United States and other organizations have demonstrated time and again that virtually all the puppies sold in puppy-selling pet stores come from puppy mills. Reputable breeders do not sell through pet stores -- they want to meet the people who are taking home their cherished puppies. Pet stores need a constant supply of different kinds of puppies to "stock their shelves," so to speak -- therefore they almost always buy from mass commercial breeders known as puppy mills. Doolittle Kennels, was shut down by state authorities. King had been previously licensed by the USDA and inspected by both the USDA and the Missouri State Department of Agriculture, both of which documented violation after violation at his facility since at least November 2007. Dead dogs were also found on the property. Under Prop B, King's facility would have been easier to shut down and he would not have had nearly as many animals to begin with. Local animal shelters will benefit from Prop B because reducing the size of massive, poorly run commercial dog breeding facilities will reduce Missouri's pet overpopulation problem over time. Who is that cute puppy in the picture? Sgt. McGruff, was recently adopted from the Bearded Collie Club of America as a stray found roaming the streets outside of Boston. UPDATE: note to readers that in an earlier version of this post there was an error that has since been corrected: Name of HSUS Manager Kathleen Summers and the minimum cage clearance is 6" above the head.